Capital controls are measures taken by either the government or the central bank Federal Reserve (the Fed)The Federal Reserve, more commonly referred to The Fed, is the central bank of the United States of America and is hence the supreme financial authority behind the world’s largest free market economy.of an economy to regulate the outflow and inflow of foreign capital in the country. The measures taken may be in the form of taxesAccounting For Income TaxesIncome taxes and its accounting is a key area of corporate finance. Having a conceptual understanding of accounting for income taxes will allow a company to to maintain financial flexibility. Tax is an intricate field to navigate and often confuses even the most skilled analysts., tariffs, volume restrictions, or outright legislation. They may be applicable to the whole economy, sector-specific, or industry-specific. The controls might be duration-specific, too (short-term, medium-term, or long-term flows). They affect the appreciation or depreciation of currency exchange ratesForex Trading - How to Trade the Forex MarketForex trading allows users to capitalize on appreciation and depreciation of different currencies. 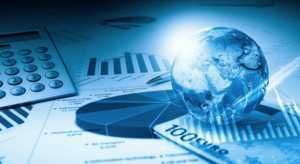 Forex trading involves buying and selling currency pairs based on each currency's relative value to the other currency that makes up the pair., bubble bursts in a stock market, equity and bond marketsBond PricingBond pricing is the science of calculating a bond's issue price based on the coupon, par value, yield and term to maturity. Bond pricing allows investors. Capital controls are generally used to restrict access to foreign assets by domestic citizens or prevent foreigners from purchasing domestic assets. The former, where domestic citizens face the restriction, is known as capital outflow control. On the other hand, when foreigners face restrictions, the controls are known as capital inflow controls. It is generally seen that the controls are stricter in developing economies due to the vulnerability and volatility of their capital reserves, which are lower compared to those maintained by developed countries. Capital controls play a vital role in the development of a developing economy. The inflow and outflow of foreign capital in and out of an economy is a major aspect of globalization. At the same time, these inflows and outflows significantly affect the appreciation and depreciation of a country’s currency as foreign exchange reserves are directly affected. Hence, management of such flows is an essential policy measure for the government and central bank. The main purpose of capital controls is to reduce the volatility of currency rates in the economy and provide support and stability to it by shielding it from sharp fluctuations. Major disturbances in the flow happen from capital outflows, which lead to a rapid depreciation of the domestic currency. Owing to a rapidly weakening currency in 2013, the Reserve Bank of India imposed capital outflow controls. Direct investment in foreign assets was reduced to one-fourth of the original. The limit on overseas remittances was reduced from $200,000 to $75,000 and special permission was to be taken from the central bank for any exceptions to be made. The RBI excluded US dollar deposits from its reserve requirements, thereby incentivizing commercial banks to raise more deposits. All these measures were relaxed once the currency showed signals of stability. The government of Argentina was draining its foreign exchange resources since 2001-02 to make foreign payments and by 2011, it reached a point where they could not sustain the practice any further. As a result, they imposed strict capital controls. Argentina imposed strict restrictions on the purchase of assets by non-residents. Exchange houses and banks underwent strict monitoring. Inspectors were appointed specifically to oversee the implementation of these rules. Also, insurance and mining and oil companies were asked to return assets they held abroad. These capital controls were slowly relaxed in 2014. Following a sharp fall in the value of the Russian ruble against the dollar, the country’s government introduced certain capital controls. Large state-run exporting companies were asked to maintain their foreign exchange assets at a certain specified level and weekly reports were sent to the central bank. Currency trading was strictly monitored by newly appointed supervisors. After the collapse of Iceland’s banking system in 2008, the government introduced capital controls to stabilize the economy. The three main banks – Glitnir, Landsbanki, and Kaupthing – held assets that were ten times more than the GDP of Iceland. Investment in foreign assets was abandoned and even currency exchange for tourist purposes was strictly monitored. This is the most recent example in the world of capital controls. Greece introduced capital controls in 2015 when its bailout extension period came to an end. The European Central Bank did not agree to extend the level of Emergency Liquidity Assistance, which was extended as support to Greek banks. As a result, the country’s government was forced to halt the operations of commercial banks in the country for about 20 days. Heavy controls were put on bank transfers from Greek banks to foreign banks and also a limit on cash withdrawals up to 60 euros was put in place. If not for the controls, the Greek banking system was close to collapse. The capital controls are still in effect.